National marine sanctuaries are special places that support many human uses simultaneously, like fishing, recreation, and commercial shipping. At the same time, sanctuary habitats support thriving animal communities made up of some species that can move great distances, and some that remain relatively stationary. 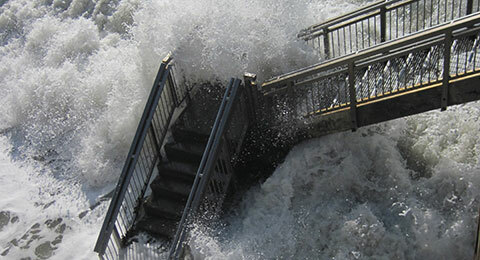 Like all marine environments, sanctuaries experience a variety of seasonal conditions and weather each year, like wind-driven upwelling and storms. Each of these sanctuary elements have one thing in common: they produce sound. It is rarely the case that researchers can visually observe all, or even some of these things, and so we need additional tools to "see" beneath the waves to better understand and protect sanctuaries. Channel Islands National Marine Sanctuary has been a hot spot for passive acoustic monitoring for years, and in this webinar we'll explore various ways in which the Channel Islands sanctuary and partners are characterizing the sanctuary soundscape, what we've been able to learn so far, and what we are still seeking to understand. 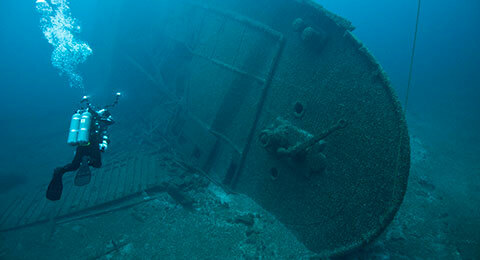 Shipwrecks and other submerged properties tell stories of the past, and some of those stories are about World War II in the Pacific. The Hawaiian Islands were very different during the war period, a plantation territory suddenly witness to the initial attack on Pearl Harbor and subsequent years of intensive combat training both on land and sea. The events of this critical period have left a legacy of sites that act as windows on history, a heritage landscape was shared in this presentation. One Fish, Two Fish, Red Fish...What Fish? Are all the fish dying? Have we over fished everything? What are sustainable fisheries? Can I eat tuna? Learn more about the fish you eat, where it came from, and how/where it was caught to help you make sustainable choices to help protect our ocean. What is ocean acidification? And how could it affect the future of Dungeness crab, one of our favorite seafoods? Join us as we walk through a new national marine sanctuaries educational toolkit to equip you for teaching others about what ocean acidification could mean for the Dungeness crab, how this is currently being investigated, and resources to get more involved. Although plastics are vital in a slew of consumer applications, plastic pollution in the ocean has turned out to be a not-so-fantastic outcome of modern day plastic dependence. This presentation provides an overview of the ocean plastic pollution problem, explaining the difference between marine debris and microplastics. 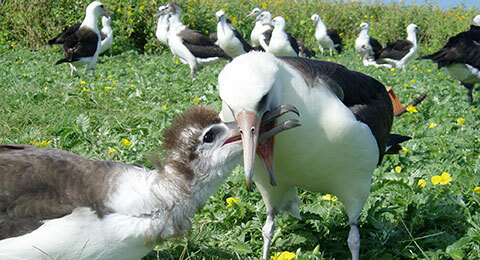 It also will outline the current state of knowledge about microplastic impacts in the ocean and marine food webs, and provide insight into an ongoing research project using seabirds as indicators of plastic pollution in the Northwest Atlantic. Invasive species are the second-greatest driver of biodiversity loss worldwide, and invasive seaweeds represent a major challenge to ocean health. This talk will share what has been learned about a Japanese seaweed called Devil Weed, which is rapidly spreading rapidly across the reefs of southern California. Topics that will be discussed include: why this seaweed is a successful invader; the ways in which it may affect native species; the role that Marine Protected Areas can play in resisting its spread; and techniques that can be used to control this and other invasive seaweeds. Dolphin species often play key roles in ecosystems and also use habitats that overlap with areas of human activity. Learn more about when and where dolphin species occur so that the research can inform ecosystem management and mitigate human impacts. This presentation will focus on the biology and ecology of dolphins, current threats, and how technology is helping us learn about their occurrence and distribution. People all over the world experience impacts from El Niño and La Niña, the recurring climate pattern that occurs across the tropical Pacific Ocean. As this year's La Niña subsides, join us for a science-based exploration of this powerful phenomena. In this presentation, participants will dive deep into Data in the Classroom's El Niño Module to examine decades of observations from Earth observing satellites and take a virtual tour of the new web-based curricular modules and data tools. 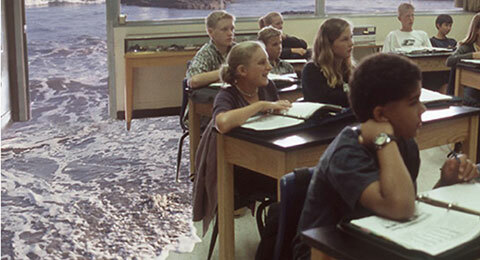 Data in the Classroom is designed to help teachers and students use real scientific data to explore dynamic Earth processes. 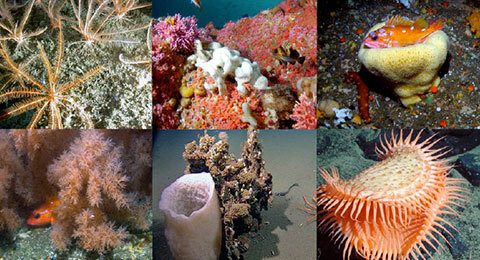 Immerse yourself in the ocean and your national marine sanctuaries without getting wet! 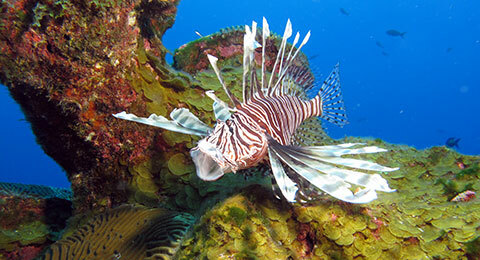 These Virtual Reality (VR) voyages use 360-degree images to highlight the amazing habitats, animals, and cultural resources you can find in each national marine sanctuary. Learn more about VR technology and dive into our underwater treasures using your desktop or mobile devices. Coral bleaching is one of the side effects of an increasingly warmer ocean. Episodes of coral bleaching are happening more regularly and with greater severity as the years progress. But, what exactly is coral bleaching? Is bleached coral, dead coral? Is bleaching preventable? 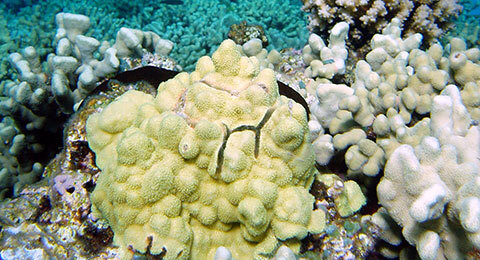 Can coral recover from bleaching? Join us to look at the biology of corals to understand what coral bleaching is and its potential long-term effects on coral reefs. The Marine Debris Toolkit serves as a unique collaborative effort between NOAA's Marine Debris Program and Office of National Marine Sanctuaries to reduce our impact on the ocean through hands-on scientific monitoring, targeted education, and community outreach. Composed of teacher resources, data collection and analysis guidelines, and community engagement and outreach activities, this toolkit empowers students to become ocean stewards by taking action against marine debris on campus, in their local community, and at home. During this presentation, participants will receive an in-depth look into this free education tool. 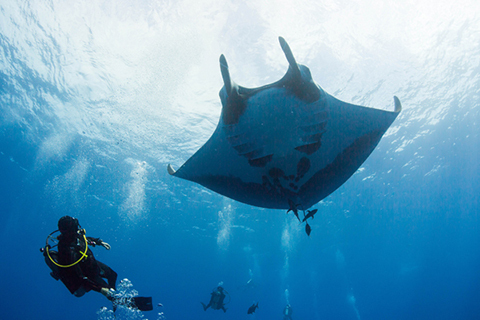 Manta rays are one of the most iconic marine megafauna in the ocean, reaching wingspans of over 20 feet and delighting divers and snorkelers with their gregarious behavior. Dr. Nancy Foster Scholar Joshua Stewart will give a presentation on the biology and ecology of manta rays, current threats and conservation action, including his latest research on mantas, and how new technology is providing insights into these mysterious creatures' lives. 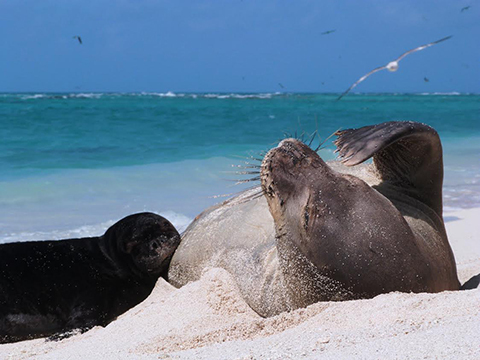 In honor of 2017 Year of the Monk Seal, join Dr. Charles Littnan on a four decade journey that tracks the history and challenges of monk seal conservation in Hawai`i. 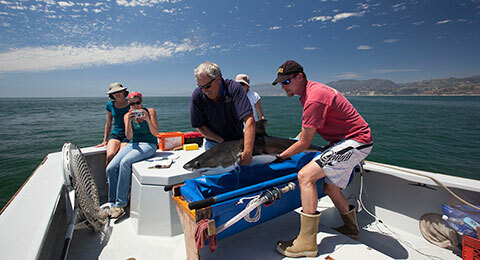 This presentation will highlight a number of threats to the species and the evolution of a rag tag research program into the most proactive marine mammal recovery program on the planet. 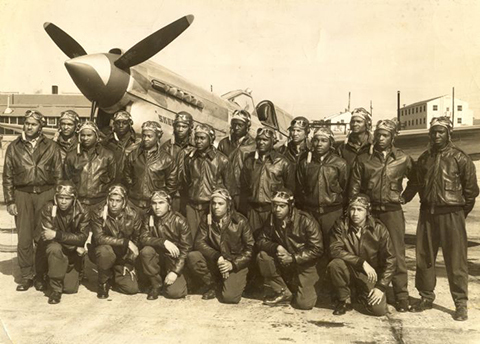 During World War II, Michigan was home to several African American air combat units including many graduates of the Tuskegee pilot training program. As with many similar training programs during the war, dozens of accidents occurred that resulted in the loss of both aircraft and crewmen. Two Tuskegee airplanes have been discovered in Michigan waters near Thunder Bay National Marine Sanctuary. Learn about these submerged aircraft and a project where members of the National Association of Black Scuba Divers and Diving with a Purpose participated to document one of the aircraft wrecks in Lake Huron. 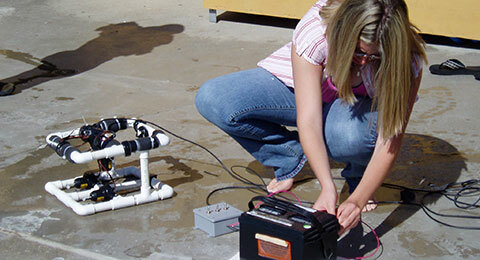 Building your own ROV is not as complicated as you think! Find out how students near Thunder Bay National Marine Sanctuary are designing and building their own ROVs to explore the Thunder Bay River and Lake Huron, as well as participate in environmental stewardship projects. This webinar will showcase how ROVs are used to explore our national marine sanctuaries and provide a basic overview of designing and building ROVs with students for your own explorations! 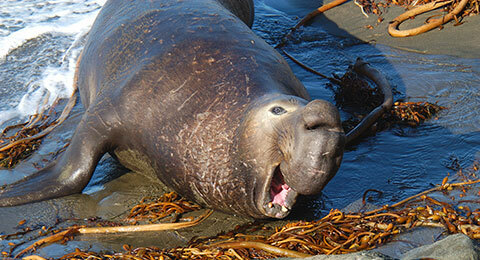 Male and female northern elephant seals exhibit dramatic differences in size, shape and behavior. My research compares the feeding behavior of male and female seals to understand how the sexes use marine resources throughout the North Pacific Ocean. Take your students on an incredible journey hundreds of feet beneath the surface of the ocean, without ever leaving the classroom! Using research footage from Remotely Operated Vehicles, your students will be able to utilize real scientific methods to explore the unique deep sea coral communities found in our West Coast National Marine Sanctuaries. They will investigate threats, such as ocean acidification, that these precious ecosystems face and learn the importance of long-term scientific monitoring and protection. This program is aligned with the Next Generation Science Standards and all materials are available for teachers to download from the web free of cost. Ever wonder the best way to talk about climate change? Felt unsure if your message is clear and connects to your audience? Effectively communicating complex issues involves sound science and an element of artistry. 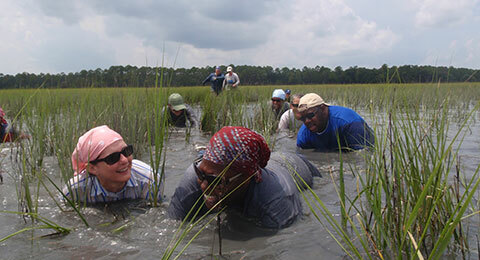 This webinar shares climate communication tools from the National Network of Ocean and Climate Change Interpreters (NNOCCI), as well as a way to get involved in the NOAA Climate Stewards Program. 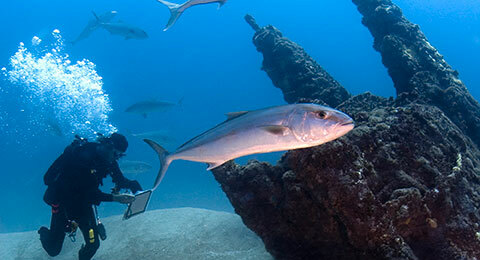 Discover how to integrate STEM and social studies as you explore the underwater world of shipwrecks and the tools of maritime archaeologists.